Lockheed Martin's first Atlas 3A rocket was successfully launched on May 24 from Cape Canaveral and placed the Eutelsat W4 satellite into orbit. 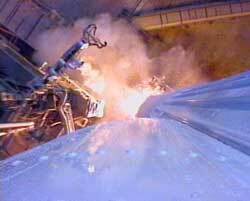 Images: Lockheed Martin TV/Spaceflight Now. 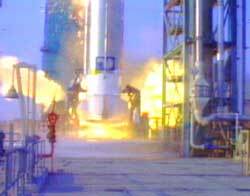 The Russian-made RD-180 engine roars to life at pad 36B at T-minus 2.73 seconds. 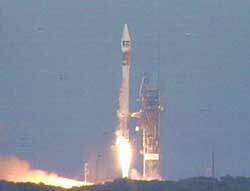 The Atlas 3A rocket launches on its maiden voyage. 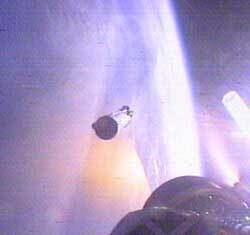 A camera mounted on the side of the rocket shows the start of a grand journey to space. 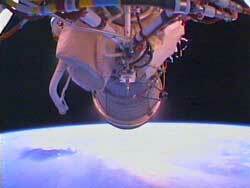 A tracking camera shows the Atlas 3 during its flight downrange. 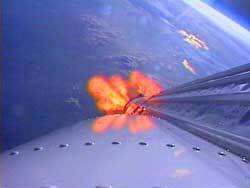 The 'rocketcam' shows the Earth fading away with the RD-180 engine's fiery plume still seen. Another camera mounted to the bottom of the Centaur stage shows the Atlas stage separating just over three minutes into flight. 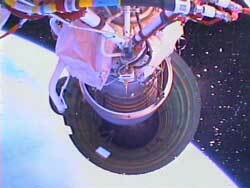 The external 'rocketcam' provides a different prospective of the Atlas booster stage separating from Centaur. 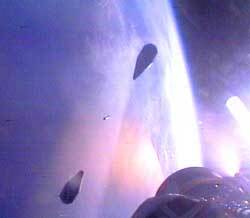 The spent Atlas stage and two halves of the payload fairing are seen falling back to Earth by camera mounted on Centaur upper stage. 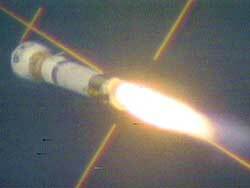 The single Centaur engine continues to fire, boosting the Eutelsat W4 satellite into the correct orbit around Earth.